Please Drive Carefully! Obey Work Zone Speed Limits! A worker in Park City was struck and instantly killed by a vehicle traveling along Greenleaf Avenue yesterday. The worker was onsite completing final roadside tasks for a Lake County Division of Transportation road construction project when the accident occurred. We are devastated to learn of this tragic news, and our sympathy goes out to the family. Please take one minute to watch this brief video to hear directly from our LCDOT employees about why driving safely in a work zone matters to them and their family. Don’t Throw Out Your Pumpkin! Compost it! Lake Bluff residents can compost these items in your regular weekly yard waste pickup. If you don't have yard waste or food scraps, you can put them by your recycling and garbage bins. SWALCO hosts its household chemical waste collection 8 am - 2:30 pm on Saturday, Nov. 4 at the Mundelein Metra train station, 205 N. Archer Ave.
Trucks loaded with FREE meat, fresh produce, dairy products, frozen foods, canned, boxed, and packaged items will roll up to Midwest Veterans Closet on Tuesday, Nov. 14, noon-2 pm, at 2323 Green Bay Road in North Chicago (PACE bus route 569). Military or Veteran ID required to participate. One in four Veterans living in our community is hungry. MVC offers SNAP assistance to any military family that walks through the door, along with coats for adults and children. College students and their parents can get help applying for college financial aid by attending a Free Application for Federal Student Aid (FAFSA) workshop offered now through February 2018 at locations across Lake County. View the full schedule in English and Spanish. At these free workshops, staff will help you complete and file your FAFSA online. The FAFSA must be filled out for students to be considered for state and federal financial aid, and many colleges and universities rely on FAFSA data to determine eligibility for the institution’s own financial aid funds. Learn more, including what documents to bring to the session. 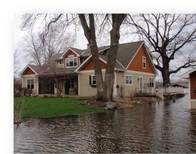 Property owners residing in unincorporated Lake County may be eligible to save an average of $271 a year on their flood insurance policies. Through the Federal Emergency Management Agency’s (FEMA) Community Rating System (CRS) program, residents within unincorporated Lake County – who meet certain requirements – are eligible for up 20% savings on flood insurance premiums. Contact your flood insurance agent to obtain individual savings information. If you experienced damage to your home or personal property as a result of the July floods, you may be eligible for financial assistance from the Small Business Association — even if you do not own a business. As a homeowner, renter and/or personal property owner, you may apply to the SBA for a loan to help you recover from a disaster. Homeowners may apply for up to $200,000 to replace or repair their primary residence. If you make improvements that help prevent the risk of future property damage caused by a similar disaster, you may be eligible for up to a 20 percent loan amount increase above the real estate damage. Applicants may apply online using the Electronic Loan Application (ELA) on the SBA’s website at https://disasterloan.sba.gov/ela. On November 14 at 9am, my colleagues and I will vote on the FY2018 budget. To watch our board go over the budget with departments, click here and select which area you are most interested in: Sheriff's Office, Health Department, Public Works, etc. Watch this video to see a brief overview of the budget. For more details, check out our reader-friendly budget summary, and read the entire budget. Depression and anxiety are on the rise for youth, and the Lake County Health Department is offering Youth Mental Health First Aid training to the public. This education program is designed to provide participants with the knowledge and skills to identify and support adolescents (12-18 yrs. old) that are at risk or displaying warning signs of mental health/substance use problems or experiencing a mental health crisis. The training is beneficial for adults who regularly interact with youth, including parents! The curriculum used is through USA Mental Health First Aid www.MentalHealthFirstAid.org. The Lake County Health Department received a $1.2 million grant to fund expanded services for Lake County Child & Adolescent Behavioral Services (CABS). This money is for the first year of a four-year grant and will be used to hire 20 additional behavioral health specialists to reduce the wait time for young people seeking treatment. 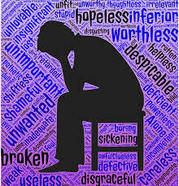 CABS provides individual, family, group, respite and crisis counseling. Counseling services are provided mainly in the community, including schools. CABS strives to help youth develop positive coping techniques, communication skills and the means to manage mental health issues. Fees for CABS services are based on level of income. An additional program provides therapy services to children and adolescents who have experienced trauma. Protect yourself and fight the flu by getting a flu shot. The Lake County Health Department offers the flu vaccine by appointment at the Immunizations Clinic, 2303 Dodge Ave., Waukegan. Learn more, including cost. Retail clinics, pharmacies, and individual healthcare providers also provide flu shots. Visit the Flu Vaccine Finder to find a convenient location. 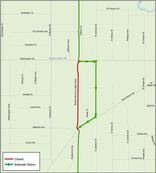 The Lake County Division of Transportation (LCDOT) has closed the Robert McClory Bike Path in Waukegan for emergency repairs, due to a failing storm sewer pipe underneath the bike path. To ensure the safety of bike path users, LCDOT has closed the bike path from Washington Street to Glen Rock Avenue. It is anticipated that the bike path will reopen in early 2018. The detour will follow the sidewalk on Washington Street to Jackson Street to Glen Rock Avenue. Improving transportation is a top strategic goal for the Lake County Board, which includes working with our transit partners like Pace suburban bus service to provide services that meet the needs of our residents and our workforce. In this edition of Lake County Update, Linda Soto, Lake County’s representative on the Pace Board of Directors, talks about the fixed Pace routes in Lake County, Paratransit, the Shuttle Bug program, and new programs being rolled out elsewhere in the region that may make their way to Lake County, including Park-n-Ride and new Flex Lanes where express buses can move onto the shoulder of the Tollway when traffic is congested. The 2017 Lake County Summer Youth Employment Program recently wrapped up another exciting summer as more than 200 youth gained meaningful work experience while earning a paycheck. Funded by the Lake County Board, the program matches youth with local worksites that offer a paid, part-time work experience. Learn more about the Summer Youth Employment Program. Lake County is committed to promoting a sustainable environment, and we have several initiatives and projects underway to make progress toward this strategic goal and core value. Recently, the Lake County Board approved a contract with a professional consulting firm that provides expertise in sustainability that will help advance specific tasks over the next year. They include: grant opportunities, energy audits for selected County facilities, a waste reduction program/food scrap collection (composting) pilot program at the Lake County Jail, and completion of a baseline carbon footprint for Lake County. 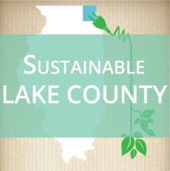 Visit our Sustainable Lake County website to find out ways you can help promote sustainability! Enjoy fall breezes and autumn colors while exploring designated “Hike Lake County” trails. Complete just seven of the hikes by Nov. 30 to earn a commemorative shield. View this year’s hike locations here. Congratulations to Our New Americans! 291 people from 59 countries took an oath of allegiance at the Genesee Theatre on Oct. 17 to become United States citizens. U.S. District Court Judge Der-Yeghiayan presided over the ceremony and encouraged our new citizens to volunteer: "We all have to work together to make this country a better place … so this my challenge to you — volunteer in your community, in your neighborhood, hospital, community center, park district and church, in order to make this country even better than you found it." Pictured at the ceremony is David Wathen, Chief of Corrections for Lake County Sheriff's Office; myself; Erin Cartwright-Weinstein, Clerk of the Circuit Court, and two of my colleagues on the board, Mary Ross Cunningham and Vance Wyatt. Plan early for your family reunion, company picnic or other group gathering to ensure your first choice of shelter and date. Reservations for 2018 picnic shelter rentals have begun. Purchase permits online, by phone, or in person. The Lake County Sheriff’s Office recently participated in the A&E Network’s “Live PD” show, which followed Sheriff’s deputies as they gave an inside look at the many responsibilities of the Sheriff’s Office and the calls deputies respond. Watch this video to learn more about how the Sheriff’s Office helps keep Lake County safe.